Nick Rentz lives with his wife, son, and daughter on the South Side of Grand Lake St. Marys, in Aqua View Estates. 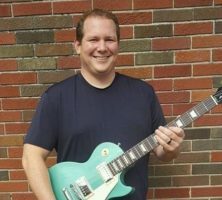 He is a graduate of Wright State University and is currently employed as the marketing manager for S&K Products in Celina, Ohio. A great deal of Nick’s childhood was spent in and around Grand Lake St. Marys, and he wants nothing more than to see it healthy again so future generations can experience the lake in the same ways. A lifelong resident of St. Marys, Brian Morris has enjoyed countless adventures on the banks and in the waters of Grand Lake St. Marys as well as the canal it feeds. He looks forward to an improved Grand Lake St. Marys so his two young sons can similarly enjoy the area’s outdoors. Ted and Diana Bertke have three daughters , 4 grand kids as well as 2 step grandsons and a new grandchild expected in June. Diana is a retired teacher but is still involved in education as a part time instructor at Wright State University. Ted is an Agent/Owner with Leugers Insurance in Maria Stein, OH. Both Diana and Ted graduated from Marion Local High School and Defiance College. Ted and Diana have owned a property at Bass Landing for over 15 years and enjoy sharing the lake with family and friends by pontoon whenever possible. A resident of St. Marys, Eric is the currently a full-time Patrolman for The Village of Minster. As a law enforcement professional, Eric’s desire to make our community a better place for the future has led him to serve as LIA Secretary. Eric and his wife, Danielle, plan to stay in the area and raise a family that can enjoy Grand Lake St. Marys as much as they do. Keith and his wife Sheila built their home in 2013 and love living at the lake. They moved there following Keith’s retirement from Marion Local Schools where he taught Industrial Technologies and coached for 35 years. Keith and his family, originally from Ada, spent their growing up years enjoying Indian Lake and all the water sports it had to offer. It wasn’t long after building their retirement home, that they wanted to become active with the Lake Improvement Association. After attending several meetings they was impressed by the dedicated people committed to a progressive approach to increasing the quality of the Lake and surrounding communities. Jeff got involved with the LIA in 2005 to help protect and restore one of the area's greatest recreation and economic assets. He and his wife, Jean, are lifetime residents of the area and currently reside in the Grimm subdivision at Behm's Landing. 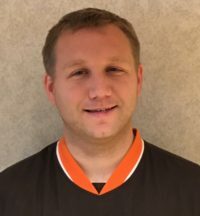 Jeff is the Vice President of Financial Services at Joint Township District Memorial Hospital in St. Marys, and is a charter member of the Grand Lake St. Marys Restoration Commission. The Vossler family spends many days enjoying the outdoor activities offered by Grand Lake St. Marys and its touch with nature. Tom Rampe has been a Lake Improvement Association member for 7 years and a LIA trustee for 4 years. He is retired after a career in facilities construction and management. 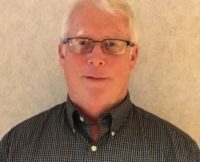 He is a licensed professional engineer in Ohio and has an extensive training and experience in environmental engineering. Tom represents the LIA as a member of the Ohio NRCS State Technical Committee and as a member of the Lake Restoration Commission. Tom, and Mary, his wife, have three children and a grandson and they all enjoy boating on the lake. 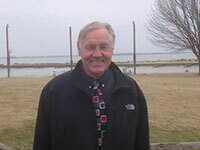 Jack Albers is a Trustee on the Lake Improvement Association Executive Board. Born and raised in St. Marys, Seth currently resides there with his wife, Abby. 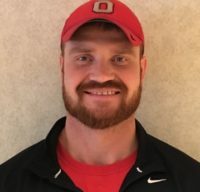 Seth is a graduate of the University of Northwestern Ohio and is employed at Crown Equipment Corporation. Like most residents of the area, Seth has enjoyed many great times on and around the lake. Seth is a member of LIA to help guide the continuous improvement of Grand Lake St. Marys and the communities that surround it. Brian lives in Celina, OH with his fiance Brittney, and their two daughters Aria (4) and Taya (2). Being raised by parents who manage a lakeside business, Brian has many childhood memories on and around Grand Lake. He continues to view the lake as a vital part of the social, recreational, and economic success of the region. Above all, Brian joined the LIA to assist the ongoing progress being made that will allow his children and their friends to enjoy the lake as he did. Stu was born and raised in Celina. Growing up, his father Terry, and neighbors, the Lauxes, in particular built his love for the lake and all the greatness it provides to the community. Stu attended The Ohio State University, and has traveled the country for his job, yet chooses to make Celina his home. Next to his family, the lake makes Celina an incomparable place to live, and Stu wants to be able to share that with his own growing family.